Disposal - For individuals, businesses and municipalities. Materials - Compost, Bark Mulch, Mark's Mix Loam. 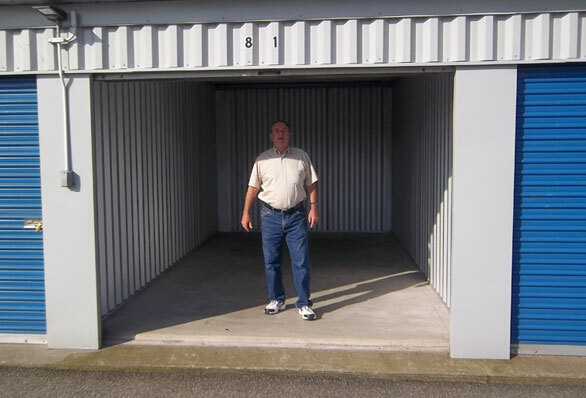 Columbia Self Storage - Storage units in a variety of sizes. Transfer Station - An alternative to municipal trash collection. Click here for the Commercial Garbage Dumpster Pickup Schedule. Mark Wright Disposal (MWD) offers collection and disposal services for garbage, trash, and demolition/construction debris as well as collection and processing of recyclable materials. 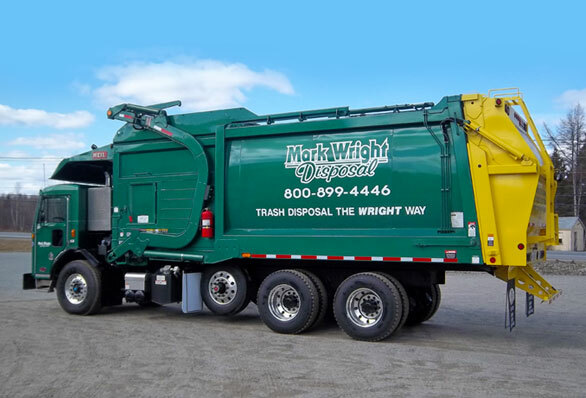 Mark Wright Disposal provides collection services using both front load dumpsters and roll-off containers of various sizes as well as curbside collection in select areas. 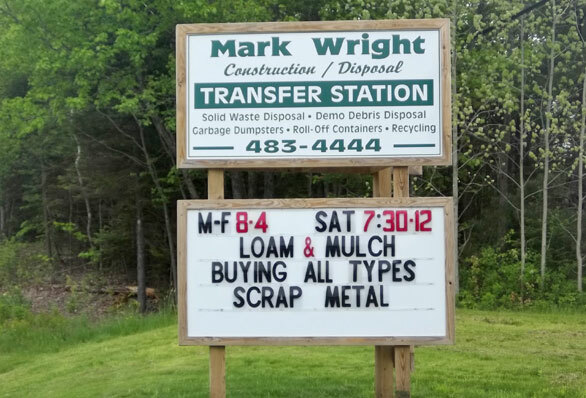 Mark Wright Disposal also operates a full-service waste transfer station located at 1446 US Highway 1 in Jonesboro, Maine. Mark Wright Disposal also offers bulk landscaping materials for sale at our transfer station. Our offerings include both brown and black bark mulch, peat moss, compost, and Mark’s Mix Soil. These materials can be picked up or we can deliver. Orders are taken at our main office phone 483-4444 and dial extension 1# or 2# for our sales staff. For more for information about compost. Mark’s Mix is a manmade soil used in both flower and vegetable gardens as well as for lawns and shrubs.